For me personally, this was a concert I could not wait for. I got in my car, with my older sister, and we had headed 80 miles south of Milwaukee to a small town called McHenry, IL. I had only heard the name in passing, I was curious to see this small town, and the mighty Queensryche who was playing that night. First band to open the night of metal there, was an amazing Chicago based Metallica tribute band known as Blackened. They ripped through classics like Harvester of Sorrow to modern hits like King Nothing. They played the songs like they were written, with little deviation from the originals. They were the right band to open this night with their ability to get the crowd going and excited for what was coming. The unconquerable Jack Russell (Great White) came on stage, and played through the classics people know and love. This particular group is known as Great White (Featuring Jack Russell) with Jack Russell and Ex-Great White guitarist Matthew Johnson. Russell went through the classics, like Rock Me, Once Bitten-Twice Shy, Face the Day, and a truly show-stopping version of Save Your Love, that he dedicated to his wife. The hit ballad had the crowd singing the chorus back to him. It was 1987 all over again. Now here in 2013, and almost one hour after Russell went off stage, came the new and improved, but exactly how you remembered them sounding, Queensryche! This tour is properly named, Return To History World Tour 2013, and they started it with a song, that went all the way back into Queensryche lore. Queen of the Reich opened the show, with Todd La Torre hitting that first high pitch note into the heavens. This was a song, I heard nearly all 8 times I had previously seen Queensryche. Except this time, it was sung exactly how it was performed way back on Queensryche's 1982 self-titled EP. Operation Mindcrime's Speak was next, keeping with the intensity that 'Reich delivered. In a humorous moment, La Torre, commented on the size of the mosquitoes flying around the stage. �They look like dragonflies,� he told the crowd, letting them know if he was moving too much on stage, it was cause he was dodging the insects. Walk In The Shadows followed, keeping with the previous classics that were played. 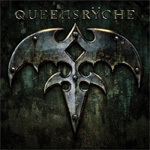 The fourth song Redemption, was the first new song from the current album (read my review here) that showed the newer heavier and chunkier sound of Queensryche. While this song is new, it had all the elements that made the previous Queensryche songs, classics. The next four songs came from Rage for Order and The Warning, with the last of those being Warning. Where Dreams Go to Die, followed the short instrumental X-2 that opens their 2013 disc, Queensryche. Again like Redemption before it, it showed the newer Queensryche was just as amazing as the songs that came before it. The classic, The Needle Lies from Mindcrime was followed by the second song you found on the 1982's self-titled EP, Prophecy. This was the first time I had ever heard Prophecy live, and I was equally happy to hear it, exactly the way I grew up listening to it. The shimmering clean guitars of My Empty Room, entered next with La Torre's passionate delivery. Eyes of Stranger followed as it did on the seminal album, Operation Mindcrime. I think during this song, the crowd was at its loudest. Young or old, knew this anthem, and it had every one singing along. The band took a few minutes, and the encore followed. The brief but powerful Fallout(see the official video below) opened the encore. EP classic Take Hold of the Flame followed, with a trio of classic Empire songs(Jet City Woman, Silent Lucidity, Empire) to end the show. The hour and a half-plus set, seemed shorter then it was. Just like their current CD, I did not want it to end. For those who wished for the return Geoff Tate, please know that the band is better off without him. The members of the band, were polite, attitude free, and everything you would hope for from a band who has sold millions of records. I had the pleasure of meeting the band, and taking pictures with them. They never seemed rushed, or in an immediate hurry to disappear. They answered all questions, and treated everyone like they were their best friends. This was a night that I, nor my sister, will ever forget. As I mentioned before, the tour was called, Return to History World Tour 2013, welcome to the past and future of this amazing band! Return To History World Tour 2013? 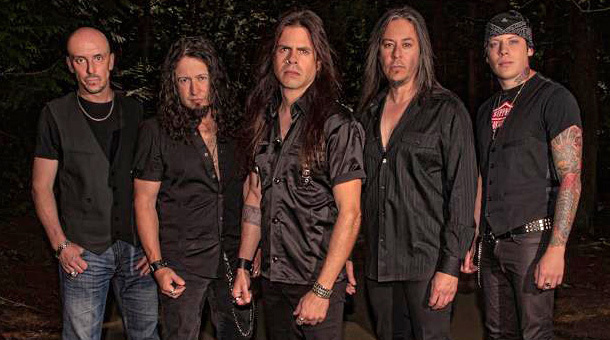 Welcome to the past and future of Queensryche!